Birds of prey in Scotland will be at risk of injury or death because of a decision to allow the use of so-called “clam traps”, according to campaigners. RSPB Scotland and the Scottish SPCA are among organisations which have called on Scottish Natural Heritage to reconsider its policy. SNH has agreed to license the use of clam traps from next year. The trap system works by snapping shut when a bird lands on a perch to feed on bait. They are designed to capture crows and magpies, but RSPB Scotland said “non-target” species such as buzzards and sparrowhawks would also be at risk. It is claimed larger traps could even pose a threat to golden eagles. There have been many recent incidents, including some resulting in prosecutions, illustrating the widespread misuse of the current range of traps and the deliberate targeting of protected species. “RSPB Scotland has documented 127 confirmed incidents related to the use of ‘crow’ traps over the last 10 years, including the deliberate killing of captured birds of prey, the starvation of trapped birds, and evidence of a widespread lackadaisical attitude towards adherence to current licence conditions. “We did recommend that these clam traps should be subject to an independent, scientific trial before being licensed. The legal status of clam traps had been unclear and gamekeepers have welcomed SNH’s decision to license their use on a trial basis, arguing a wide range of species including wading birds and red squirrels will benefit. “We and other land-based agencies welcome the clarity that has been provided by SNH on the matter of identifying legal traps for use. “Clam traps have been used for the past four years with no evidence of welfare issues. Scottish Natural Heritage has pledged to monitor the use of clam traps carefully. “We will commission objective research on these traps; if the research shows they pose unacceptable risks, we will then prohibit them. Scottish fishing leaders have said they are disappointed that fresh discussions led to no agreement to end the long-running dispute over mackerel quotas. The EU, Norway, Iceland and the Faroes were all represented at the talks. The island nations have been criticised for declaring huge catches of the valuable fish in recent years, leading to fears for its sustainability. The Scottish Pelagic Fishermens’ Association (SPFA) said Europe must now implement sanctions. EU Fisheries Commissioner, Maria Damanaki, was meeting with fisheries ministers from Norway, Iceland and the Faroe Islands. “We are disappointed that there was no breakthrough. “If it is not possible to reach agreement at this high level, then one has to question whether there is any hope at all for the next round of talks scheduled for October. Scottish Fisheries Secretary Richard Lochhead said the outcome of the latest talks was “disappointing but sadly predictable”. “Recent years show that Iceland and the Faroes have a track-record in demonstrating a lack of willingness to compromise and reach a fair deal for mackerel. “By initiating these talks, Commissioner Damanaki has demonstrated her personal resolve to finding a solution that will see a sensible deal in place to safeguard the mackerel stock. However, once again diplomacy has failed. Mackerel is the most valuable stock for the Scottish fleet. Landings of the fish were worth £164m in 2011 – about a third of the Scottish total. A golden eagle suffered a lingering death after its legs were broken by a trap, RSPB Scotland has said. The bird had been fitted with a satellite transmitter which showed it had not moved for several days. Its body was found, lying face down with its wings folded, under a tree and close to a lay-by on a quiet country road near Aboyne on Deeside. RSPB Scotland has offered a £1,000 reward for information that leads to a successful prosecution in the case. The bird was found on 5 May, before being taken for a post-mortem examination at the Scottish Agricultural College laboratory in Aberdeen. “that could be consistent with an injury caused by a spring type trap” and that the severity of these injuries “would prevent the bird from being able to take off”. 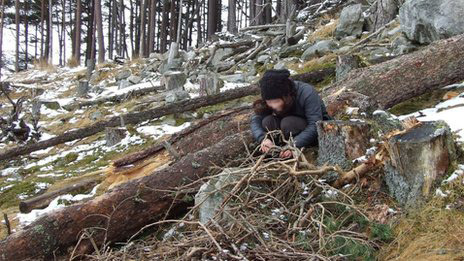 The bird had been fitted with a transmitter by RSPB Scotland staff, in full partnership with a local landowner, a few days before it had fledged from a nest in the Monadhliath Mountains, south-east of Inverness, in July 2011. By re-examining the satellite data, RSPB Scotland staff discovered the young bird spent its first few months in that area before venturing further afield. 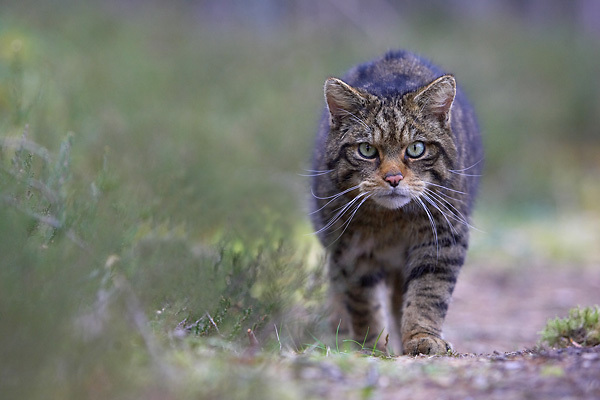 By April 2012 it was frequenting an area of upper Deeside, before moving south-west into Glenshee. On 28 April, the bird moved eastwards into Angus. The following day, at 06:00, the bird was located on a hillside overlooking Glen Esk. Over the next 15 hours, a succession of satellite tag readings, accurate to within less than 20 metres, showed that the bird did not move from this precise spot until at least 21:00 that evening, after nightfall. However, by 04:00 the next morning, it appeared to have travelled, during the hours of darkness, some 10 miles north, to the location where its body was discovered five days later. Satellite readings revealed that while the bird did not move from this position, it was probably alive until 4 May. Follow-up enquires by both Tayside and Grampian Police found no further evidence about how the eagle sustained its injuries. It could also not be established how the eagle came to move from Glen Esk to a position under a tree branch on Deeside overnight. However, a number of eagle down-feathers were found between the lay-by and the bird’s final resting place. “It is disgraceful that this magnificent bird was subjected to such suffering. The post-mortem evidence suggests that this bird was caught in an illegally-set trap, smashing both legs. “The data obtained from the satellite transmitter indicated that the eagle did not move from one spot, on a hill high above Glen Esk, for over 15 hours. “Whilst efforts to stamp out the illegal poisoning of birds of prey are perhaps beginning to yield results, this dreadful case shows that the persecution of our raptors continues through the use of traps and other means. “We call upon anyone who can provide further information about this case to contact the wildlife crime officer at either Tayside or Grampian Police without delay. A satellite-tagged golden eagle, named Alma by researchers, was found to have been illegally poisoned in Glen Esk in 2009, while other poisoned eagles fitted with transmitters were found in Grampian in 2011, and in Lochaber earlier this year.